In 2012 my wife was part of a mindfulness bio-metric test in France to measure her stress level and then her attempt to change it. She saw the immediate graphic results after each test. The data looked like the red graph shown here to the right. 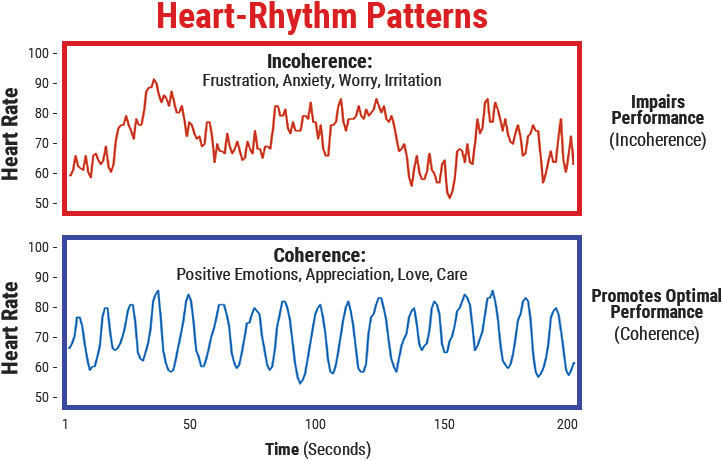 Stress can be effectively measured in our breathing, heart and brain waves. 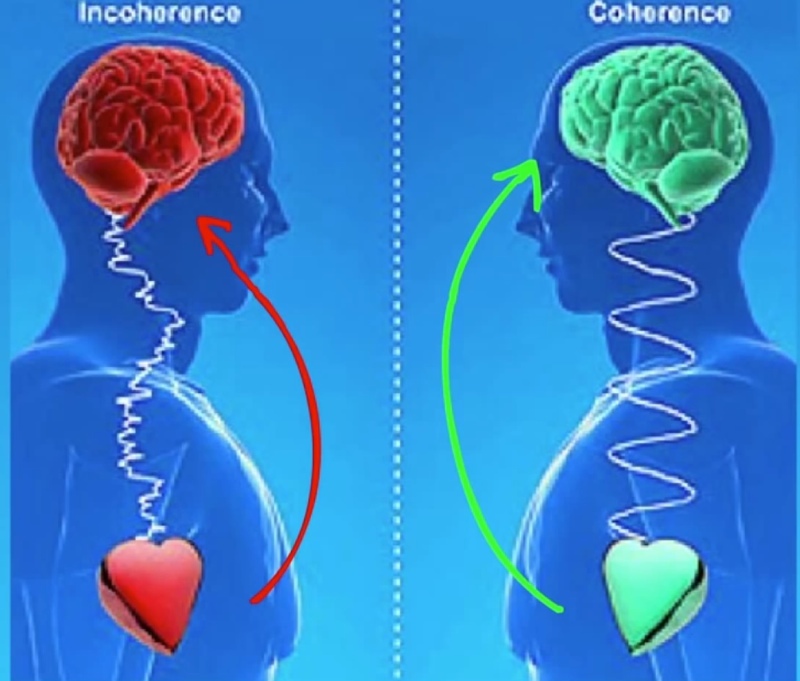 When there is a coherence--found in those who are meditating on a regular basis--the measurement of coherence shows a harmonic wavelength (shown in the blue graph). For her second test, the researchers asked her to visualize and relive a joyful moment from her life. They were not expecting to see much change. But she used a secret weapon (that was even secret to her) for decreasing stress and its terrible effects on the body. She imagined dancing with a particularly mindful dancer who was adept at synchronizing his breath with hers. 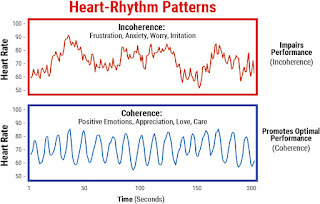 The researchers were amazed that her bio-metric data changed to show cardiac coherence. So they asked her, "What were you thinking about!" She told them, "Dancing tango." Then they wondered out loud: “If your heart does this by just thinking about dancing tango, it would be interesting to see what would happen while you are dancing!” Too bad they didn't follow up on their momentary wonder about the effects of tango! If you find tango to be therapeutic, you are probably experiencing mindfulness as measured by cardiac coherence. Slow, mindful tango accomplishes two things: First, the joy of tango at its best. Second, it creates the cardiac coherence that your body and mind need to heal in our very stressful world. For this to truly work, find a social and kind community in which to practice this beautiful way of being mindful.